In order to keep myself aligned with a fitness diet plan I required a blender that can make different types of shakes using various ingredients much faster than an average blender. The other day I was searching on the internet for a similar product and found this product called Blendtec Designer 700. This product’s design is better than the other famous blender brands available in the market. The buttons of Blendtec not only make its operation simpler but also add value to the product’s appeal. Blendtec Designer 700 has a round motor base which gives it a smoother look. 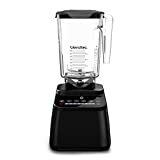 I have used many expensive and inexpensive blenders in the past and always had problems with them as either they were unable to handle the pressure or the motor of that machine used to burn up quickly. Which is why I have never been satisfied with their performance. Even if I compare the prices of the blender models that I have been using in the past, Blendtec is still cheaper than the rest. My friend did buy it and I have seen Blendtec functions when I last visited her on Christmas. It does not need the food to be “pushed” like the Vitamix and they found it easier to get mixtures out and to clean up.Touch screen feature is quite alluring as it enhances the overall design of its motor base. Its controls are highly responsive and sharp and bright looking when they are on. Blendtec is probably designed to operate through automated mode for blending food items. The smoothie button is very useful whenever you have multiple tasks to perform you can just push the button and perform other tasks. In this mode its starts slowly but catch pace as it progresses to higher level. All of this can be done comfortably, and does not need the person to be circumspect while blending.It also provides a manual control option with a slider. I found Blendtec easy to clean, the machines does the cleaning by itself one just has to pour 3 cups of warm water in it.There won’t be a problem of blades getting sluggish and don’t have to worry replacing them. The Blendtec is seriously powerful, can take the ingredients while running and that also help the mixture not to stick on the sides of the blender. An excellent product with fascinating benefits and has a good warrantee. Do you know when Blendtec 700 first came out in the market? Has it been sold on the Blendtec website since it first came out? I was told by their customer service that this model is their “roadshow” model and was not sold to customers before.